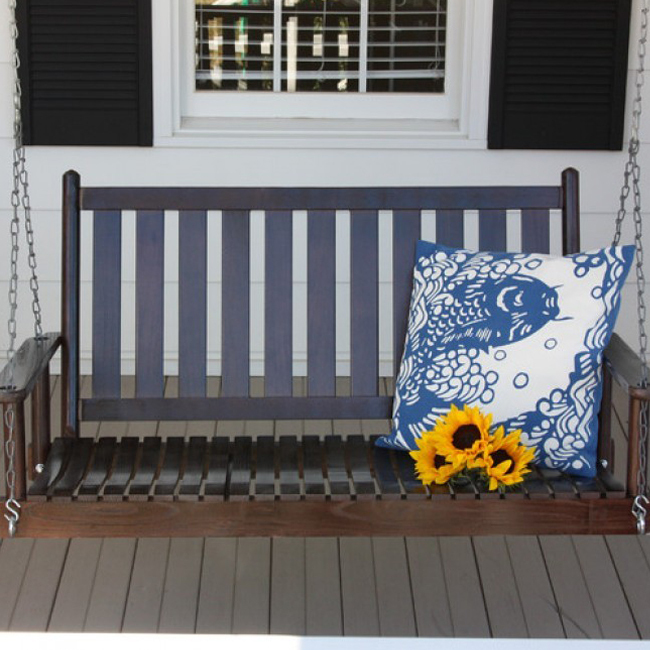 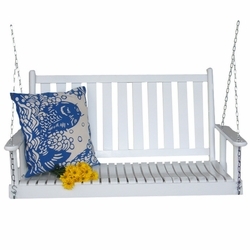 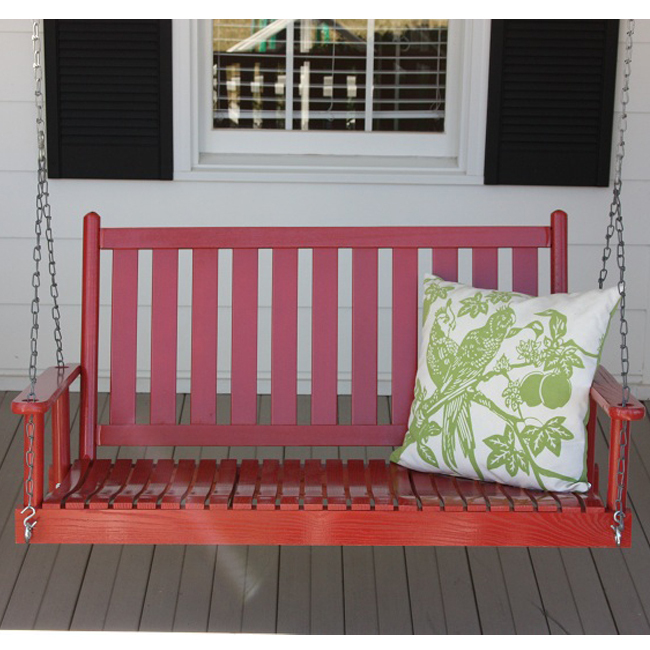 This Wooden Porch Swing is a charming addition to any porch, garden or patio. 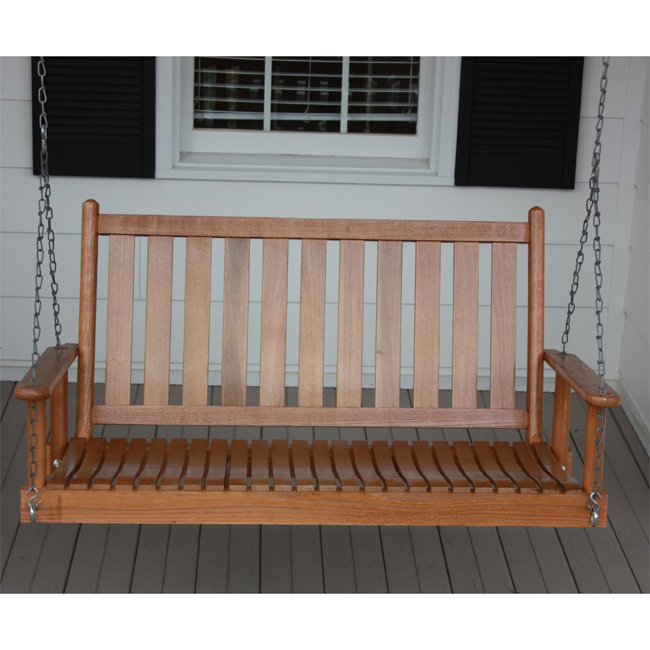 It is solid hardwood and Made right here in the USA. 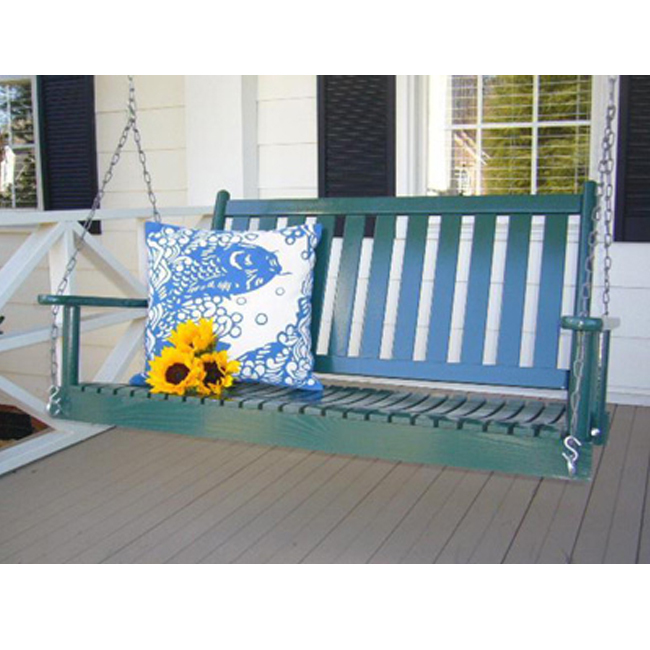 It is available in 7 different finishes including unfinished to allow you to paint or stain it any color you wish. 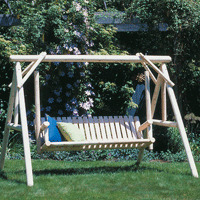 An outdoor patio swing is a favorite spot for relaxing with family and friends. 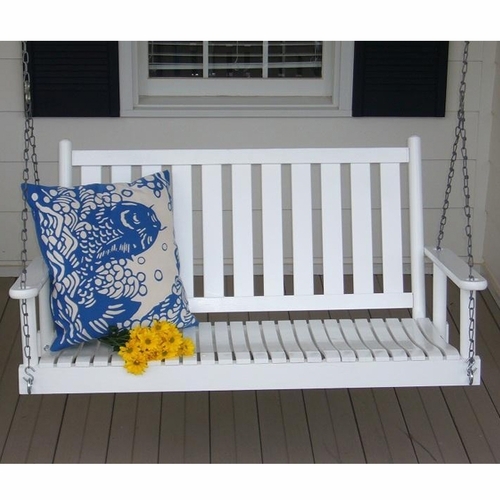 �Available in 7 different colors! 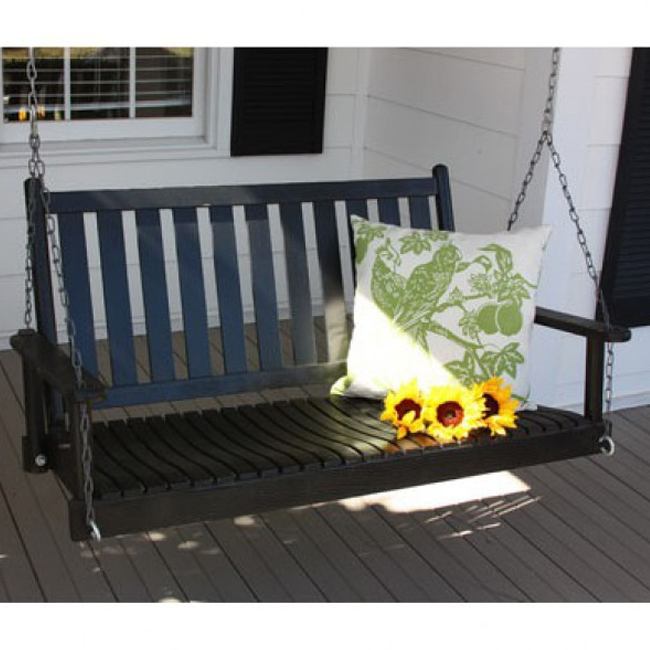 All components are machined and hand-sanded for a smooth, uniform surface. 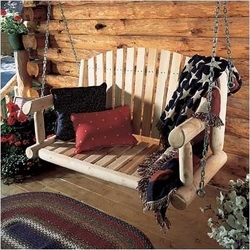 Every hardwood surface has its own personality and is distinctive in every way. 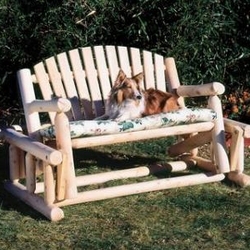 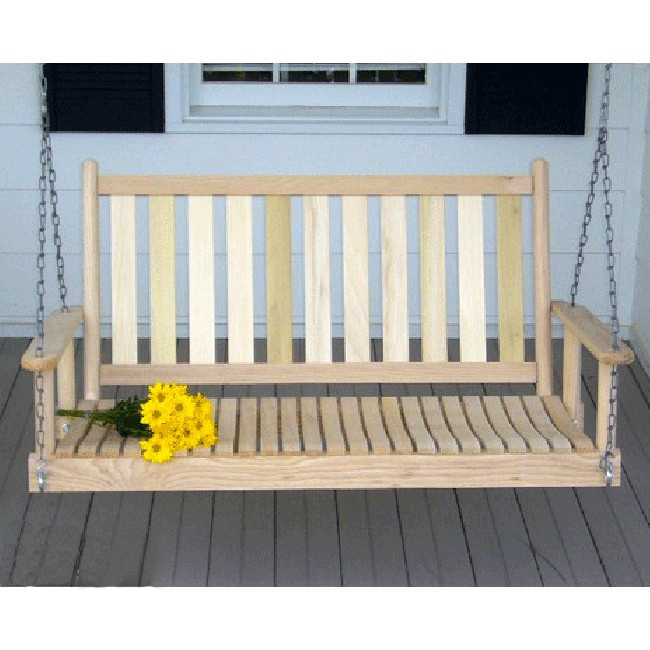 This porch swing is custom made upon your order and shipping time is estimated at 4-6 weeks.